Hundreds of never-before-seen photographs captured by Adolf Hitleru2019s personal photographer have sold for around u00a330,000. Hundreds of never-before-seen photographs captured by Adolf Hitler?s personal photographer have sold for around £30,000. 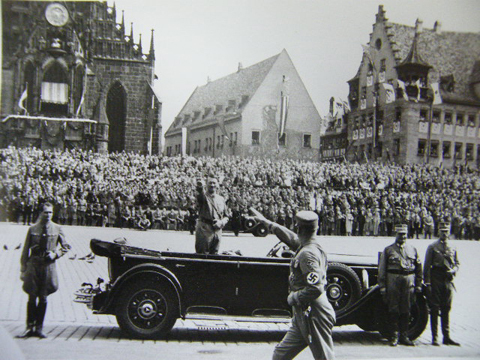 The b&w images were taken by Heinrich Hoffmann during the Nazi rise to power before the Second World War. The photos of ?party days? include one captured in Nuremburg in 1934. The collection also features Hitler meeting Mussolini in 1936. 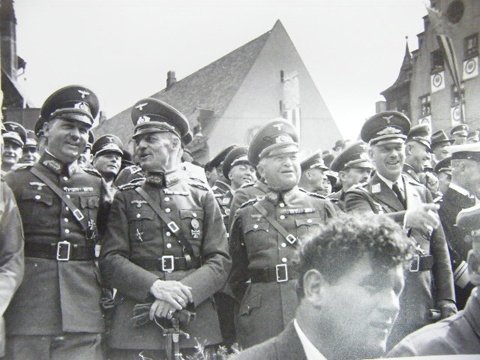 Auctioneer Jonathan Humbert said: ?It?s effectively the Nazi Party plotting and gaining strength and all the way Heinrich Hoffmann is taking up-close-and-personal pictures? these are not shot from the crowd.? The archive, which included negatives, went under the hammer at JP Humberts Auctioneers in Northamptonshire last night.